Guru Sahib was also a great poet and thinker. 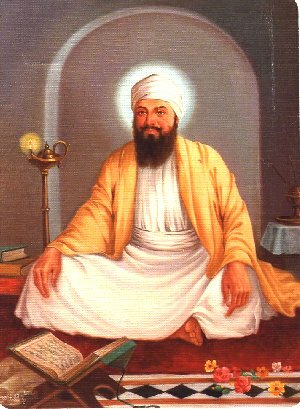 For an example we may quote him, as one of his Slokas, he says: Bhai Kahu kau det naih naih bhai manat ann, kahu nanak sunu re mana gaini tahi bakhan. (SGGS 1427) (Sayth Nanak, he who holds none in fear, mor in afraid on anyone, acknowledge his alone as a man of true wisdom) Guru Sahib written Grbani in fifteen Raagas apart from 57 salokas, got included in Guru Granth Sahib by the 10th master, Guru Gobind Singh Sahib.